Our Irish Heritage is a local history website run by staff at the National Museum of Ireland – Country Life. Who is Our Irish Heritage for? It is for people of all ages and backgrounds, from teenagers to teachers, families to local historians; it’s about much more than history. You can explore wildlife, the landscape, travel, art, community cultures, whatever you are interested in and would like to share with others. The website is a place for both individuals and communities to share, discover and enjoy. Why contribute to this website? This website offers groups, schools or individuals with an interest in their local history and heritage an opportunity to contribute stories, memories, snapshots, research and observations of life around the country. In this way we hope to take the local and make it national; eventually representing many communities across Ireland. The National Museum of Ireland wishes to thank the individuals and groups who have contributed to Our Irish Heritage and to acknowledge their generosity in sharing their material with this digital repository for Ireland’s local history, heritage and culture. All data provided on this site is for informational purposes only. 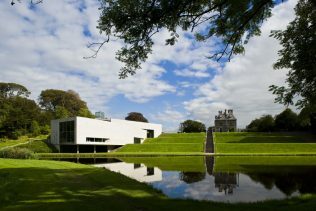 This website makes no representations as to accuracy, completeness, correctness, suitability, or validity of any information on this site and the National Museum of Ireland will not be liable for any errors, omissions, delays in this information or any losses, injuries, or damages arising from display or use of this website.